For your convenience, we created zip files of our CDW logos in CDW-signature red, black and reverse for use in print (CMYK) and on the web (RGB). For your convenience, we created zip files of our CDW•G logos in CDW-signature red, black and reverse for use in print (CMYK) and on the web (RGB). CDW welcomes customers, media and other entities to use our corporate logo, as needed. The core component of CDW’s brand identity is its corporate logo; therefore, we ask that you carefully consider the following guidelines when using it. Download the complete brand guidelines for more details on correct usage. 1. You may use the logo(s) only in the exact form provided by CDW and only to accurately and actively link from a website that is under your control to the home page of CDW.com (or another address provided by CDW) and for no other purpose. 2. You may not incorporate the logo(s) into any other logo or design. 3. You may not to use the logo(s) in a way that suggests that you or your company or products are affiliated with CDW or its products or services in any way. 4. You may not display the logo(s) on any website that disparages CDW or its products or services, infringes any CDW intellectual property or other rights, or violates any law or regulation. 5. No other logo or design element should appear within 0.5 inches of the CDW logo. 6. You may not frame or alter the CDW website in any way. 7. 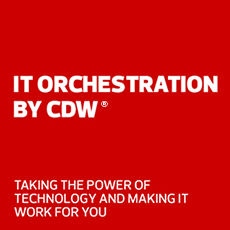 At CDW’s direction, you will immediately remove the logo(s). 8. Your limited right to use the logo(s) does not constitute a grant of any other right or license. All other rights are reserved by CDW. 9. CDW disclaims all warranties, express and implied, regarding the logo(s), including warranties against infringement. You agree to indemnify CDW from and against any and all claims and liabilities arising out of your use of the logo(s).